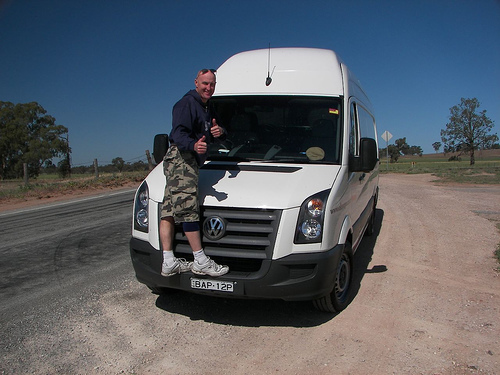 There are many options for hiring a Campervan Perth. Perth is a large city where you don't need a vehicle to get around, but if you want to go camping outside Perth, you'll be looking for where to rent a campervan. Some great places to go camping around Perth are in the corner of south-western WA, and along the coast north of Perth. Or drive across the Nullarbor plains to Adelaide. The question is which van to choose. If you want to get off the bitumen a lot, you may want to rent a four wheel drive. Where you are allowed to go in your four wheel drive can vary between companies and vehicles. There are also different sizes, and it varies what equipment is included. And it's also worth knowing how much is the insurance and what is included in that. The large companies are what you want anyway - they have offices and workshops in many places, and that means you can also drop your van off in any of them.